Watching ‘Eraserhead’ today, what emerges is the sheer, immersive clarity of David Lynch’s vision, the sense of a world unlike our own and yet inextricably bound to it: a world in which all the light has been sucked out, leaving only horror and isolation, desperation and unattainable dreams. Knowing the struggles Lynch and his crew underwent to complete this wildly uncommercial labour of love, over five years of scratching for every budgetary dollar, the absence of compromise astounds. ‘Eraserhead’ is a singular work of the imagination, a harrowing, heartbreaking plunge into the darkest recesses of the soul. Don't see this movie until you are ready. When you see it, you'll never be the same again. 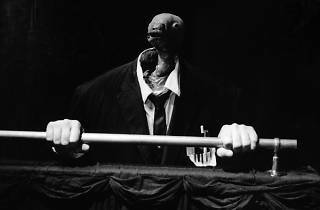 Eraserhead is by far the most disturbing, and at the same time fascinating, movie I have ever seen. It is slow, dark and sinister, and really leaves you thinking. 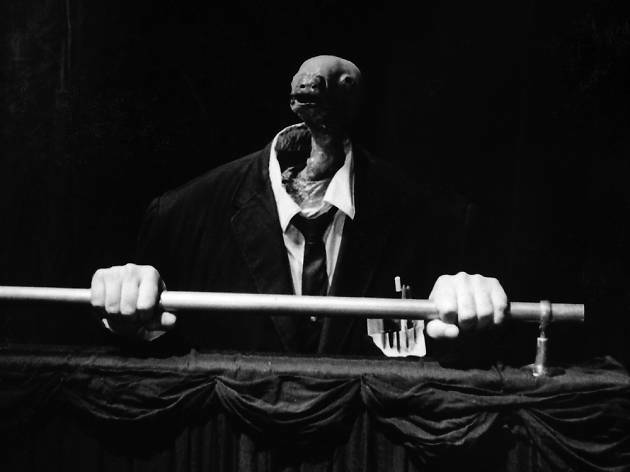 If you let ten persons watch Eraserhead, you will probably hear ten different interpretations. Furthermore, if you watch it ten times, the result will be the same. One might question the storyline of Eraserhead; the story is rather weak, but on the other hand it is full of feeling and atmosphere. David Lynch is a true master of both light and sound, even though it is an early work. Creepy, creepy, creepy. What makes it a first-class horror film is the fact that it's so completely off-the-wall, you're in terror of what you might see next: it really and truly could be ANYTHING.